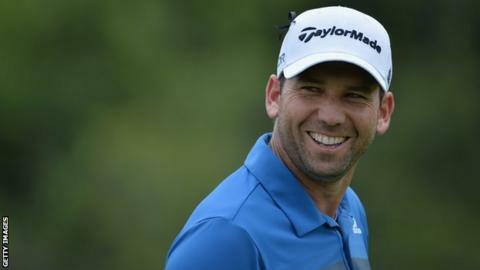 Spain's Sergio Garcia claimed back-to-back birdies to seize a four-shot lead after the third round of the Thailand Golf Championship in Chonburi. He shot a second successive seven-under 65 to move onto an 18-under total of 198 at the Asian Tour Event. US Open champion Justin Rose, the joint overnight leader with Garcia, only managed a 70 and fell five shots back. Garcia said: "I was able to hit some really nice shots and then was able to roll two or three really good putts in. His round included eight birdies overall and included a lone bogey on the fourth as he chases his first win of the year. Sweden's Henrik Stenson also shot a 65 to sit tied for second with India's Anirban Lahiri, who shot a 67.